Four Heavy Duty Lighting G Clamp for Trussing up to 50mm - FREE P&P. A heavy duty G clamp for trussing up to 50 mm, featuring a locking screw and M10 mounting with washer, maximum load of 50 kg. 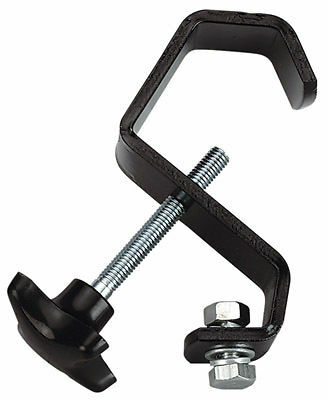 Four Heavy Duty Lighting G Clamp for Trussing up to 50mm . A heavy duty G clamp for trussing up to 50 mm, featuring a locking screw and M10 mounting with washer, maximum load of 50 kg.